It's hilarious that Lewis Berg apparently found it important to state: "They are not married." 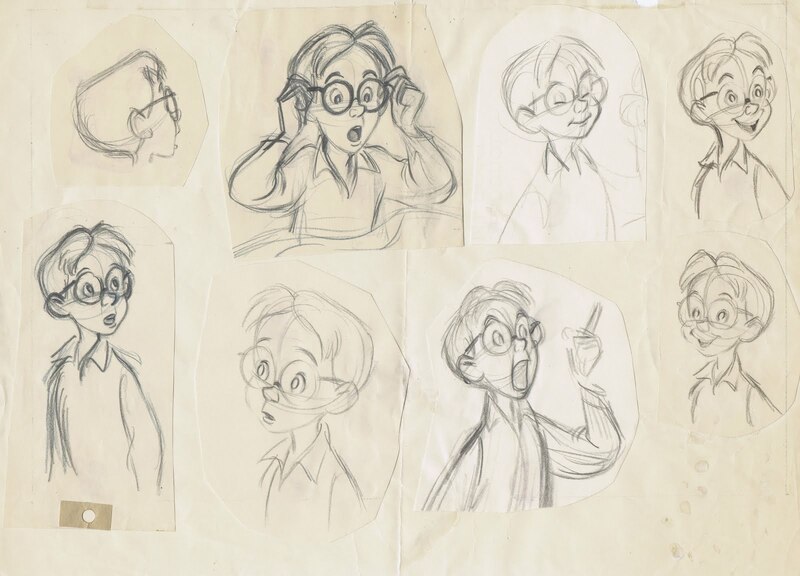 Milt's talent goes without saying, but Fred Moore was an incredible animator. One of those rare souls born with the gift to draw. 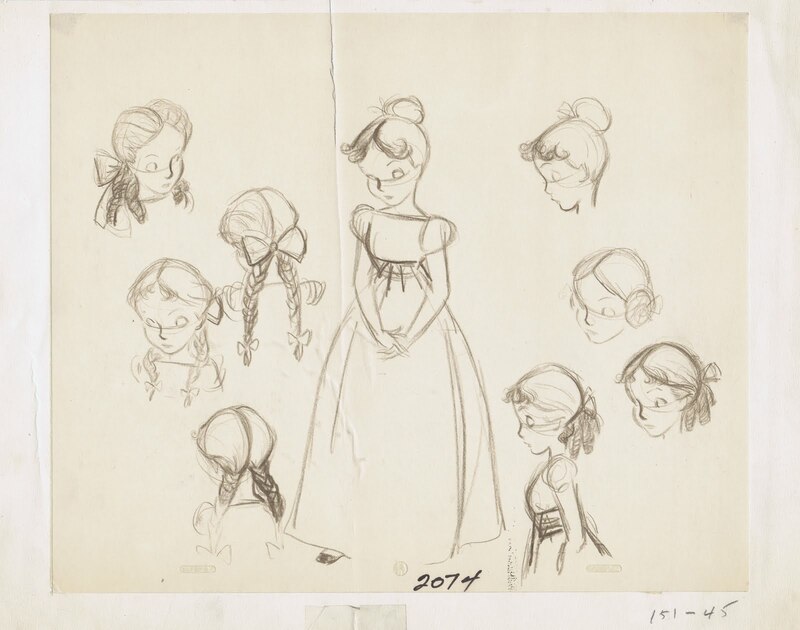 Moore seemed to be a master at drawing attractive & appealing women. I love those drawings of Mr. Smee, who is just about my favorite character of all time. Amazing to see Milt's take on him. It would have been so cool, if Hook was drawn by Milt! 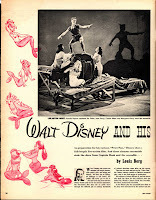 Young audience maybe would have scared to death, but that is one thing, that should be controlled by the script. Just like in The lion king. This kind of realism is what makes a fable believable and so impressive. Thank you for the post! And the blog! Great post and amazing drawings. Thanks. 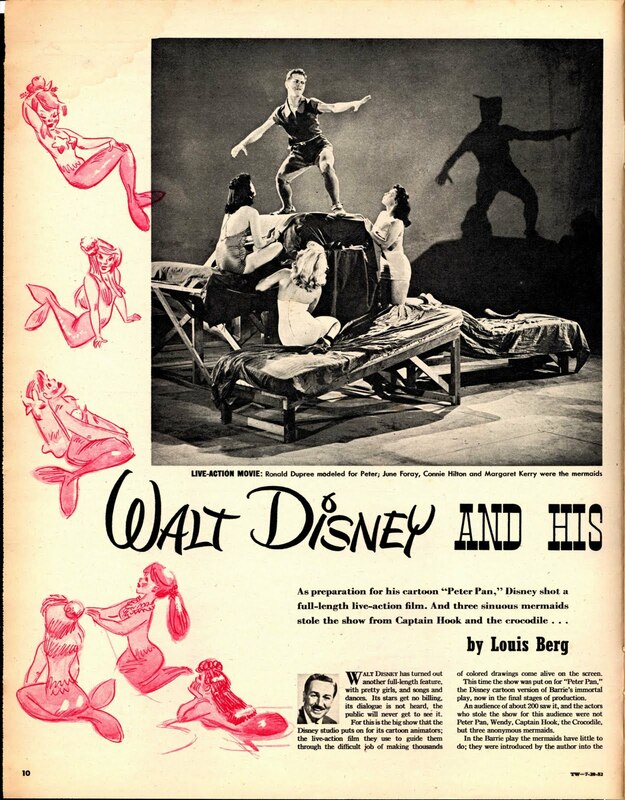 Wow sounds like Mr. Berg was fascinated by the three actresses. The fact that it was written in the fifties really stands out when he talks about their hair color and the fact that two of them were not married. Great drawings!!! 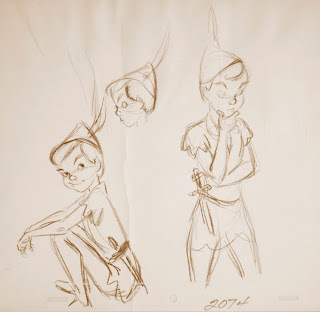 The first Peter Pan drawings look younger and not as witty as the final design. 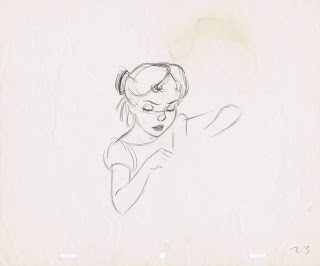 Hey Andreas....Any drawings of the mermaids by Fred Moore ? Amby Paliwoda told me that he was Woolies key assitant on the scene of Capt. Hook climbing up the rigging of the pirate ship into camera. When he finished the scene Woolie said somethings not quite right. Woolie spread out all the extremes on the floor and studied them. He finally looked up at Amby and said "Hook's forehead is exactly one pencil line to wide." At witch point Amby blew up and replied " Woolie your picking pepper out of rabbit poop.And he stormed out of the room. 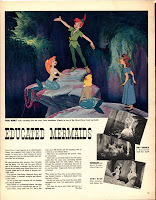 I absolutely love peter pan, its always been a personal favorite of mine. 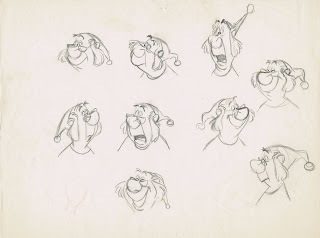 I'm just so awe stricken at Mr. Smee's faces. I've said it before and i'll definitely say it again, but thank you for sharing all of this! so much life in those drawings. I like Milt's more heavy-set Pan. 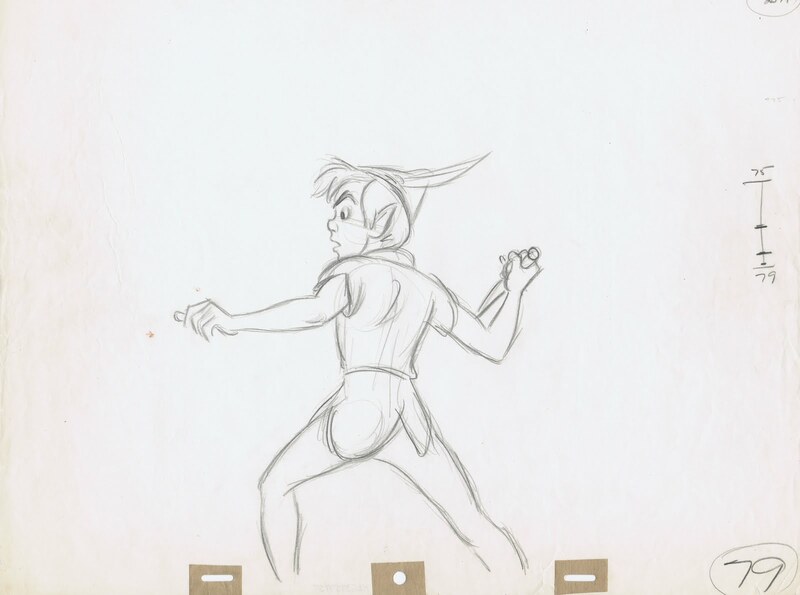 I think Milt was going on about the others not drawing Pan as muscular as he was. 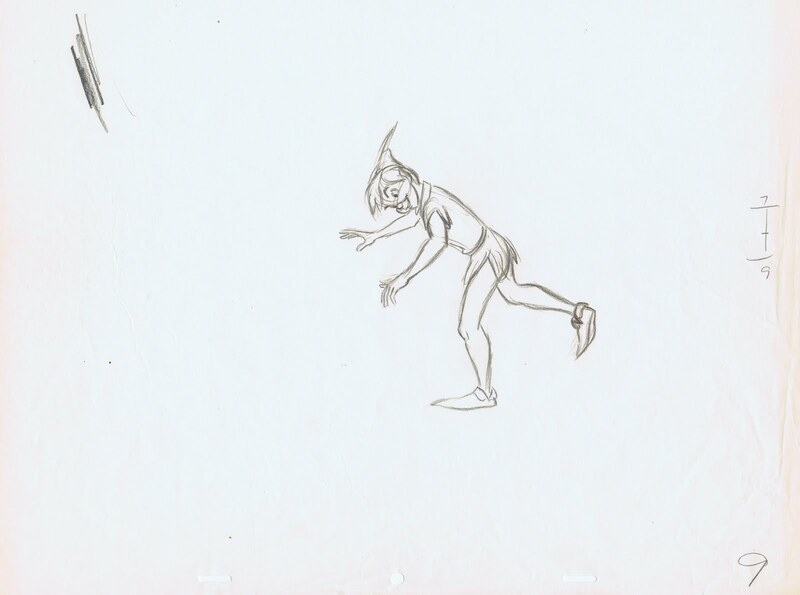 If you go by the Final Draft it's Eric Larson and a few others who draw Pan as a weedy kid. These drawings are all so amazing. 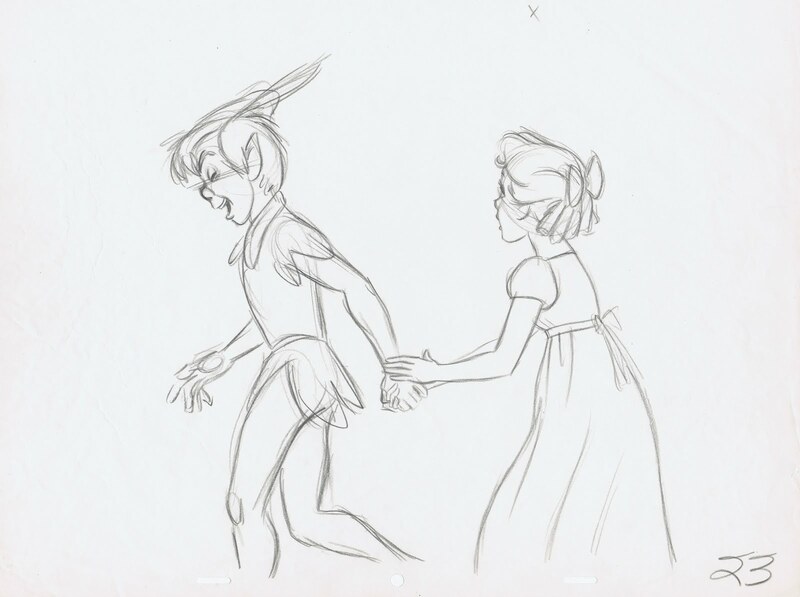 Peter Pan is one of my favorites! Thanks for sharing! Was Milt given any minor scenes of Hook in the film as a consolation prize? 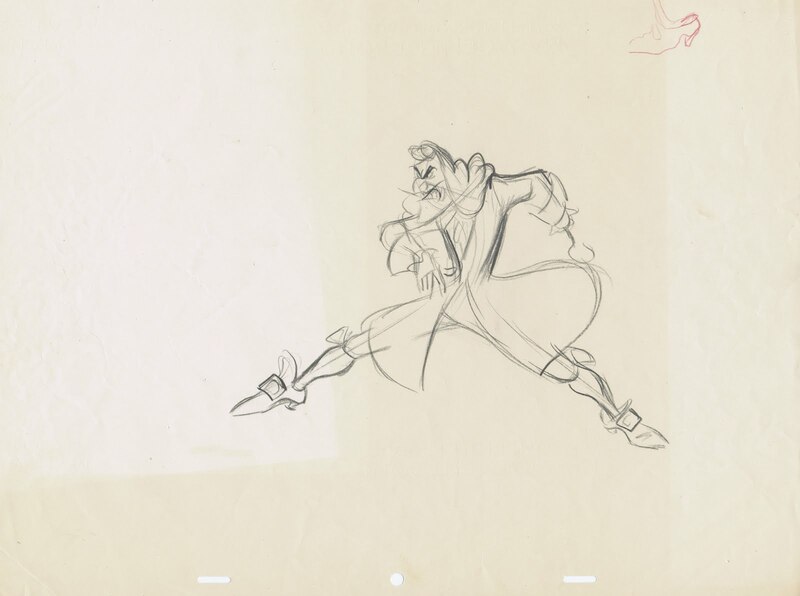 Perhaps he animated Hook in some of the Hook / Peter swordfight interaction scenes? 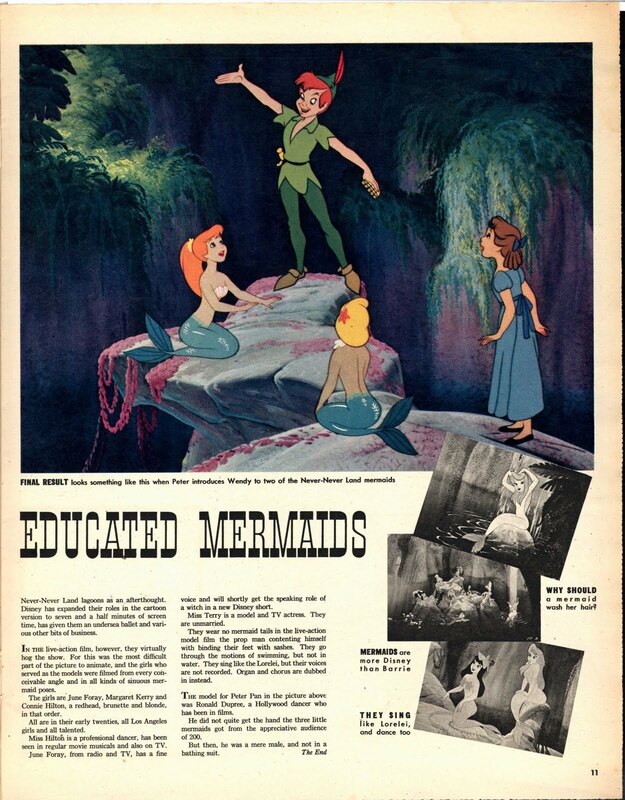 Excuse my ignorance, but in the article it talked about a seven and a half minute scene with the mermaids, but if you look at the final movie, there's only two minutes or so of mermaids (and no underwater ballet). Was there more to the scene that was eventually cut, or just a little embellishment in the article? For whatever reason, the scene where Peter has the dagger has always been one of my favorites, now I know who's responsible for it! Most of the Scull rock scenes are Woolie's, Jerry Hathcock's and Eric Cleworth's. Theres only one name for each of these scenes in the Final Draft, would mean they probably handled both Pan and Hook. Except for the scene of Hook hanging off of the cliff and Pan landing on the cliff above him, it's done by Milt; so would assume he did the two characters. 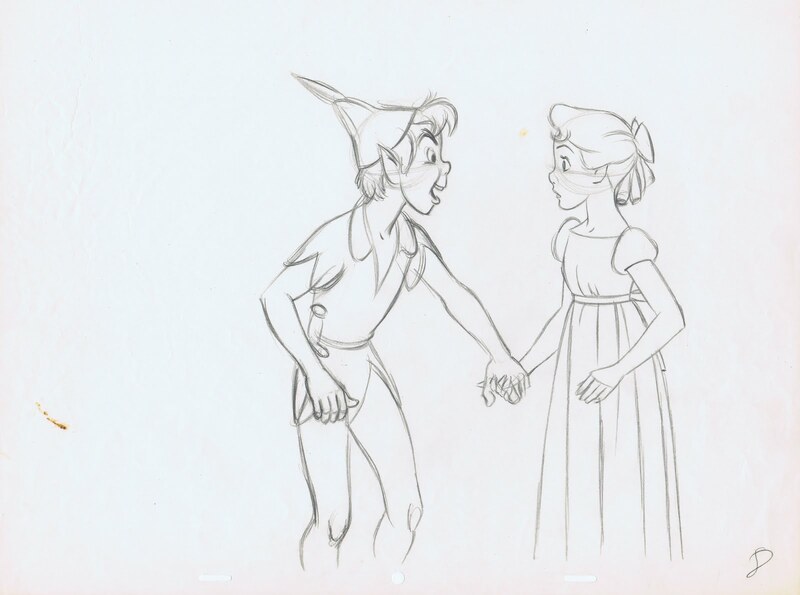 Apart from that he handles all the close-up acting of Pan in the seq. Thank you so much for this fantastic post! 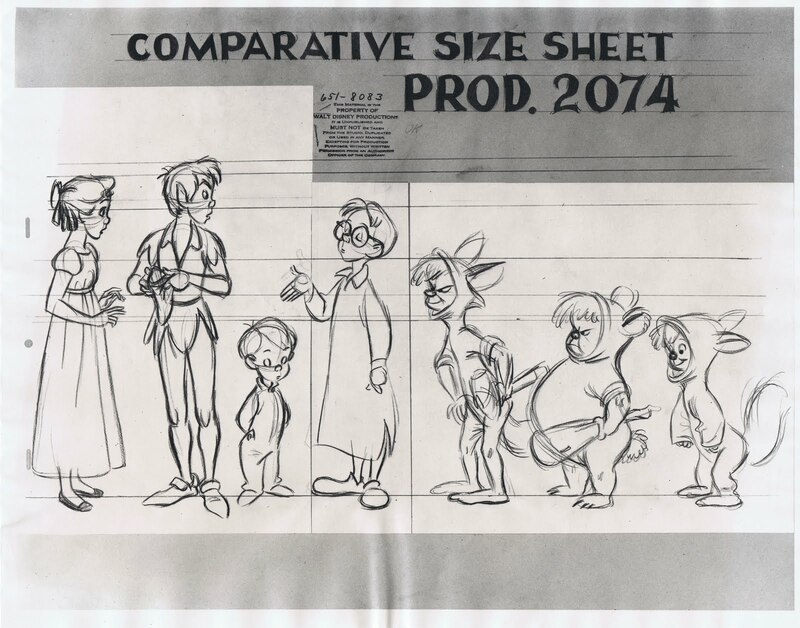 I love seeing the character design elements that didn't make it into the film - though nothing can beat the adorable Fred Moore mermaids! As I recall, I checked out Woolie's scene where he is doing that look right into camera and saying,"Spirit of the Great Sea Water, eh?" 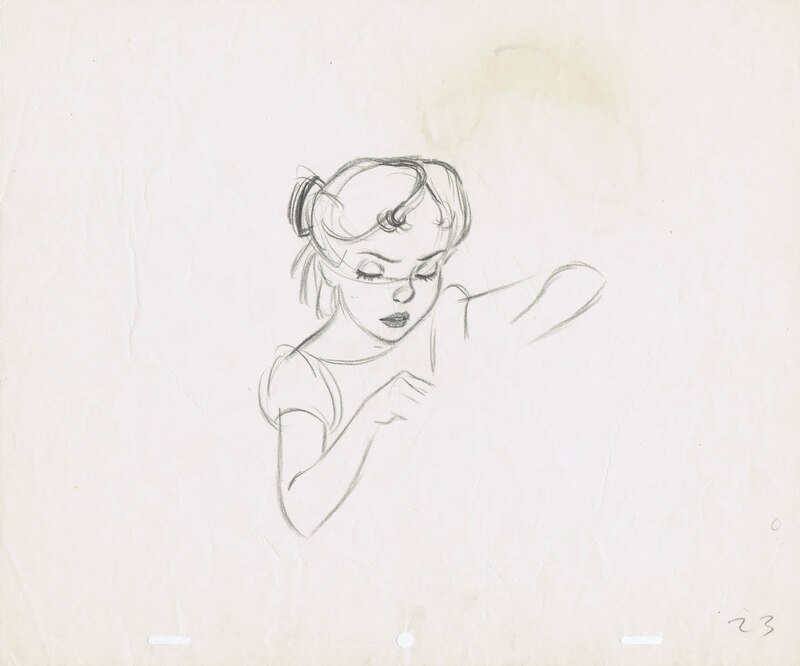 You could see where his roughs were erased down underneath. 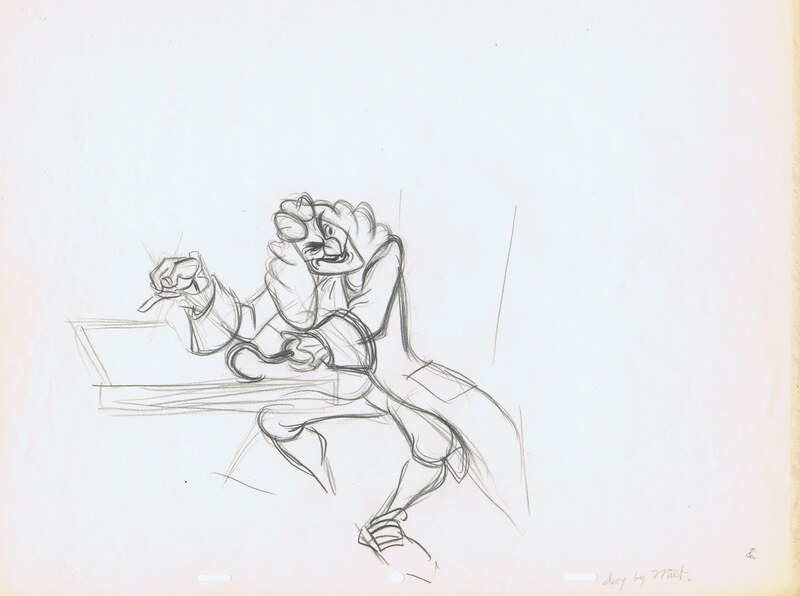 He had drawn Hook's hat too small as I recall and in clean up the size was corrected. The facial stuff was all the same I seem to remember. I also checked out various great Frank scenes ( "And where do you think you...are going?") but John Lounsbery did a couple of great short slashing scenes of Hook with his sword. Very powerfully timed and drawn. If he used live action ref it was heavily reinvented. Thank you for the post. 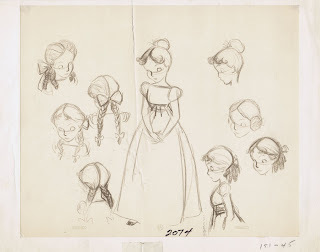 Beautiful drawings for one of my favorite Disney's movies.